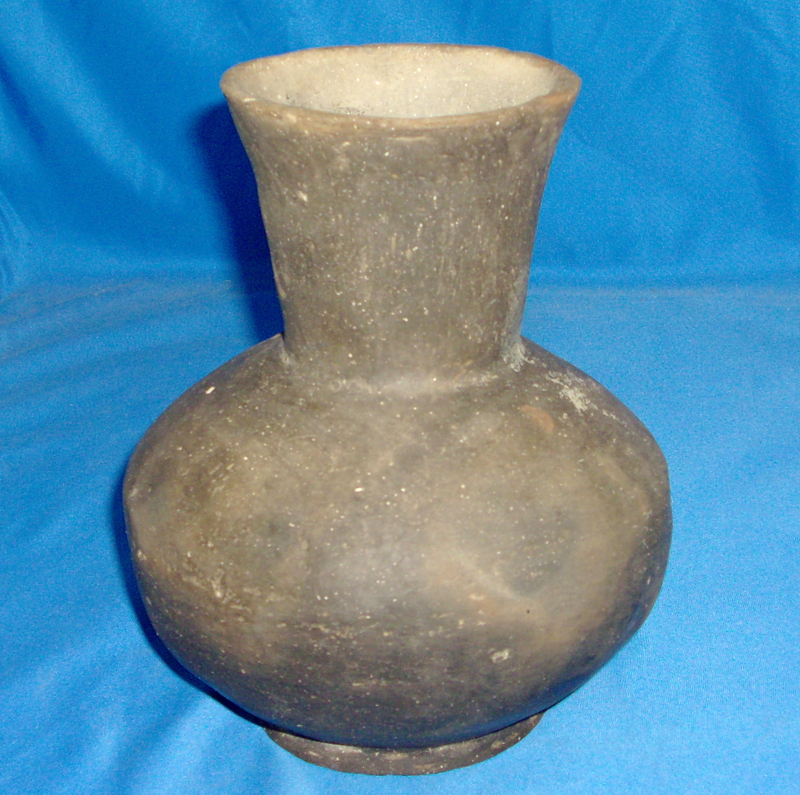 A Large Size, Well Made, Mississippian Plain Pedestle Bottom Flared Top Waterbottle That Exhibits Surface Sheen And Clay Coloration Aging Patination, Visible Neck Handle Wear, Aged Surface Shell Grog Deterioration, Correct Open Pit Firing And Surface Fire Marking, Visible Surface Placemant Deposits, Bottom Use Wear, Correct Type Material & Manufacture For The Area Found. This Example Is In Solid, As Made Condition, Having A Probe Hole In The Body And A Bell Plain Surface Finish! Includes A Ken Partain Certificate Of Authenticity!